"We’ve made subscription streaming easy for our customers and are putting them in control. 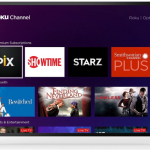 Now there is one place on the Roku platform where users can seamlessly access both free and premium entertainment, with one click sign-up, easy subscription management and a single monthly bill"
LOS GATOS, Calif.--(BUSINESS WIRE)--Roku, Inc. (NASDAQ: ROKU) announced it will begin rolling out Premium Subscriptions on The Roku Channel later today. All supported devices are expected to receive the update in the coming weeks, beginning with Roku® players and concluding with Roku TV™ models. Premium Subscriptions enables users to browse, trial and subscribe to popular premium entertainment services within The Roku Channel. Users who sign-up for EPIX, SHOWTIME® and STARZ before March 31, 2019, can enjoy a 30-day free trial of those services on The Roku Channel. Additionally, viewing of The Roku Channel directly from within the Roku mobile app is available for iOS devices starting today. The update for Android devices is expected to begin to roll out in mid-February. Users can access 25+ premium partners including: STARZ, SHOWTIME and EPIX, as well as Baeble Music; CollegeHumor’s DROPOUT; CuriosityStream; Fandor Spotlight; FitFusion; The Great Courses Signature Collection; Grokker; Hi-YAH! ; Hopster; Lifetime Movie Club; DOX, LOLFlicks, Monsters and Nightmares, Magnolia Selects, and Warriors & Gangsters presented by Magnolia Pictures; MHz Choice; NOGGIN; Shout! Factory TV, Smithsonian Channel Plus; Stingray Karaoke; Tastemade; Viewster Anime; and ZooMoo. More partners are expected be added over time. The Roku Channel provides users access to 10,000+ free, ad-supported movies and TV episodes. With the addition of Premium Subscriptions, users can watch free and premium entertainment in one easy-to-navigate interface, pay a single monthly bill for subscriptions and enjoy simple account management. Customers can start a free trial or subscribe to new Premium Subscriptions with one click using their existing Roku account information once they visit the subscription page. Premium Subscriptions are only viewable within The Roku Channel. Premium Subscriptions via The Roku Channel begins rolling out today to select Roku devices in the U.S. All supported devices are expected to receive the update in the coming weeks, beginning with Roku players and concluding with Roku TVs. Customers can check if their device can access Premium Subscriptions by launching The Roku Channel on their Roku device. If the device has received the update, a new row called “Browse Premium Subscriptions” will be visible below the Featured row. Sign-up and Web streaming are available via supported Web browsers later today, offering customers an alternative way of watching premium entertainment when they are not at home. To view Premium Subscriptions on The Roku Channel via the Web, visit www.therokuchannel.com. Due to the phased rollout, customers should check if their Roku player or Roku TV can currently access Premium Subscriptions before signing up on the Web. Premium Subscriptions via The Roku Channel are not available for Samsung TVs. Viewing of The Roku Channel via the Roku mobile app is available on iOS devices starting today. The Android version of the Roku app is expected to roll out in phases beginning in mid-February. With the updated mobile app, customers can view The Roku Channel anytime, anywhere, including over 10,000 free, ad-supported movies and TV episodes as well as any Premium Subscriptions they have subscribed to on their Roku device or therokuchannel.com. For more information, visit www.therokuchannel.com. This press release contains “forward-looking” statements that are based on our beliefs and assumptions and on information currently available to us on the date of this press release. Forward-looking statements may involve known and unknown risks, uncertainties and other factors that may cause our actual results, performance or achievements to be materially different from those expressed or implied by the forward-looking statements. 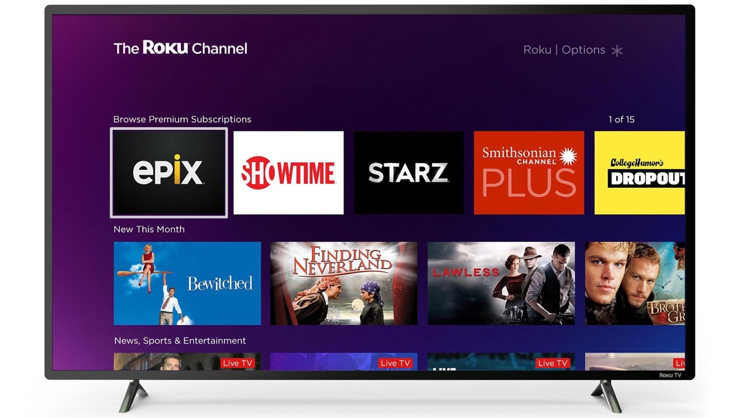 These statements include but are not limited to the features, benefits, impact and availability of Premium Subscriptions on The Roku Chanel; the free trial of certain premium services; availability of additional premium partners on the Roku Chanel; and the timing and benefits of updates to the Roku mobile app. Except as required by law, we assume no obligation to update these forward-looking statements publicly, or to update the reasons actual results could differ materially from those anticipated in the forward-looking statements, even if new information becomes available in the future. Important factors that could cause our actual results to differ materially are detailed from time to time in the reports Roku, Inc. files with the Securities and Exchange Commission, including our Form 10-K for the year ended December 31, 2017 and our most recent Quarterly Reports on Form 10-Q. Copies of reports filed with the SEC are posted on Roku’s website and are available from Roku without charge.